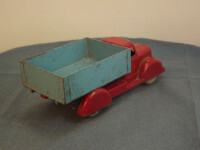 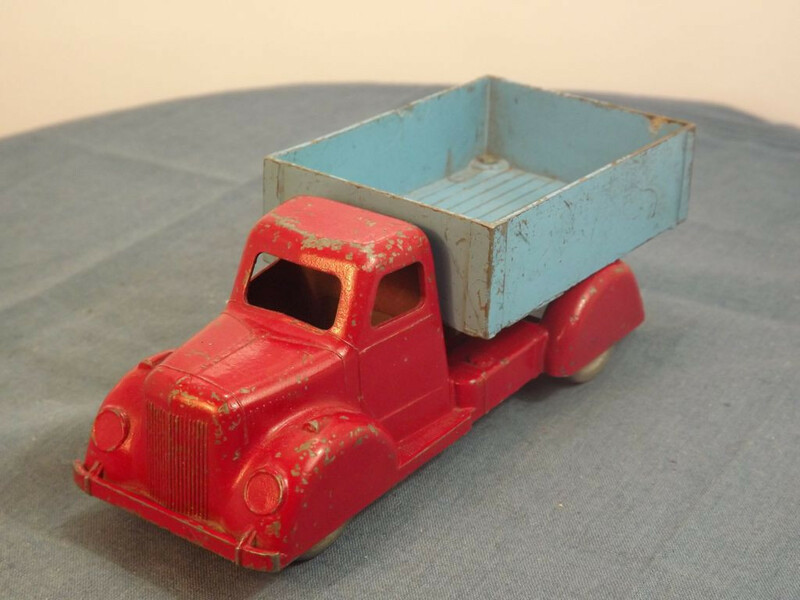 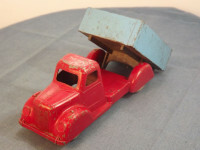 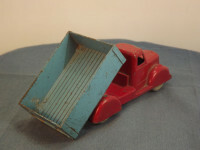 This model is the Toy Products/Robin Hood Tipping Lorry in red and blue. The model is a two-piece cast metal body with molded headlights, grille, front and rear bumpers, windows, doors and wheel arches. 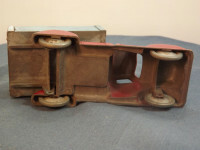 The rear tipper is the second cast component. 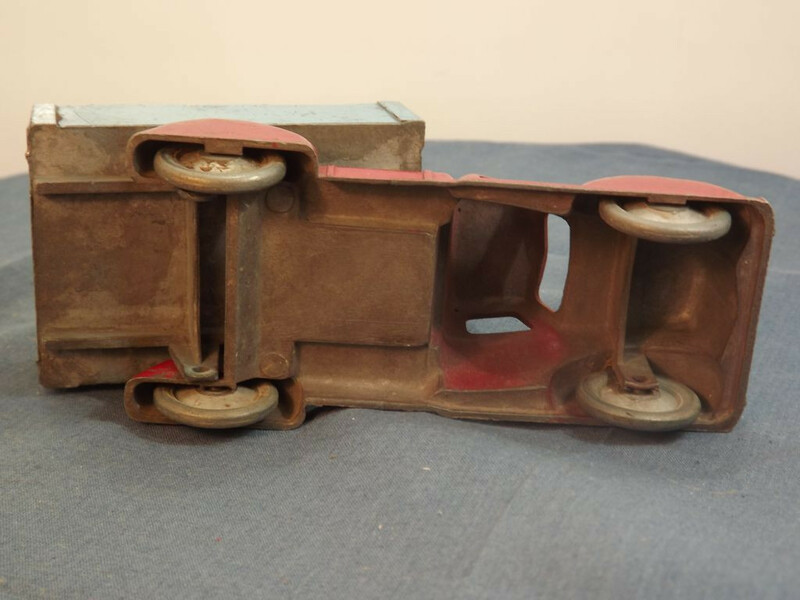 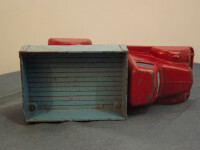 There is no base plate and the body has no markings on the underside, nor on the rear tipper body, to identify the manufacturer or country of origin.